Stir-fries often require lengthy prep times. 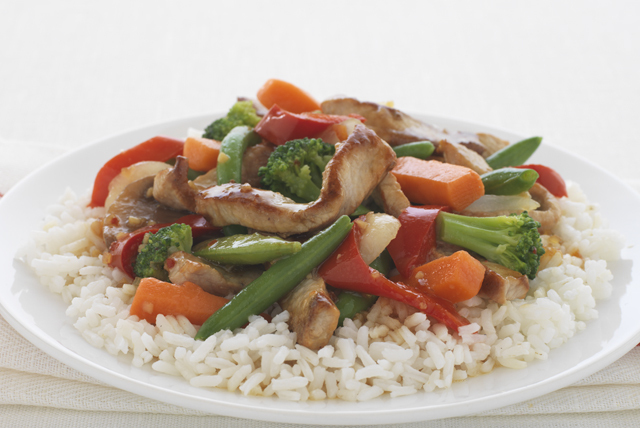 Since this delicious stir-fry uses frozen vegetables, it can be made in just minutes. Add all remaining ingredients except rice; stir-fry 5 min. or until vegetables are heated through. You don't have to use frozen vegetables - use whatever leftover veggies you have on hand. Or, use pre-cut fresh stir-fry vegetables from your supermarket - just stir-fry until crisp-tender.